In recent months, preplanning and preneed have become hotly discussed topics in the death care industry. 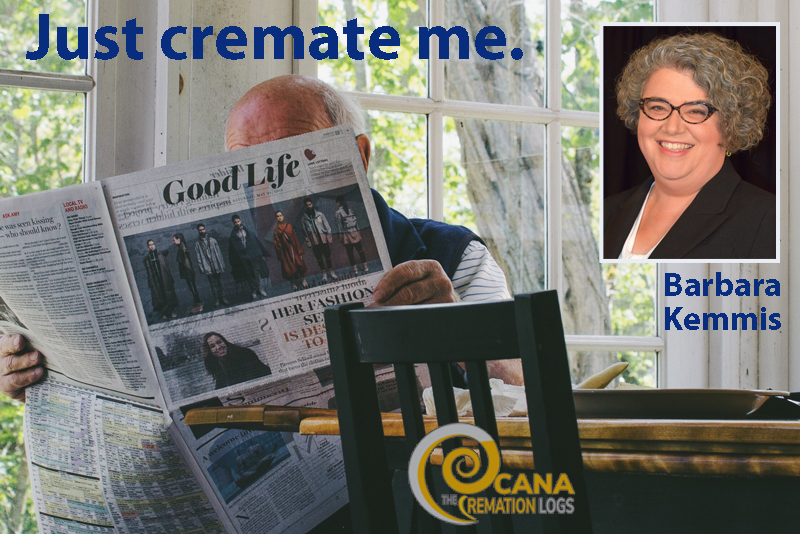 CANA has plans to address them at the Preneed Summit, a special addition to the Cremation Symposium in February – a meeting for preneed professionals and those looking to learn how to improve their preneed strategy. Stay tuned for more details. In the meantime, consider CANA Executive Director Barbara Kemmis’s own experience with her parents. One morning, my dad called me at work, which was a first. I was immediately concerned that bad news was coming, however it turned out my parents had made a resolution to “get their affairs in order.” They were starting the process of prearranging their funerals and updating all of their end-of-life documents. My dad’s plan was to have everything in order before I visited in a couple of months. He was calling to confirm that the funeral home he had chosen was a CANA member. CANA gets similar calls and web inquiries from consumers regularly and it got me thinking: What does a CANA membership and CANA certification mean to the consumer? The funeral home my parents chose is well respected in the community and is a CANA member that proudly displays the CANA logo on its website and front door. The crematory operators are all CANA certified, which means the employer saw value in providing continuing education for the staff. I contacted the funeral home owner, DeWayne Cain of Rest Haven Funeral Homes in Rockwall, Texas why he sought this designation for his business and staff, and what it means to the community he serves. When I visited my parents, we went to the bank and spent time reviewing documents – living wills and worksheets from the funeral home. Not surprisingly, my mom had planned a lovely funeral for herself at which her many friends from church and her social clubs, former students and others could gather together. My mom is a social creature known for her party planning. Cremation is really just the beginning of the conversation, though for too many people like my dad, it’s the end. Recently, I was saddened but unsurprising to read that an urn filled with cremated remains had been accidentally donated to Salvation Army. In a culture of well-meaning but uneducated consumers dealing with the new tradition of cremation, this situation is becoming all too common. I’m grateful that my parents want to discuss preplanning and that I have access to the information provided by our members on the process, what to expect, and the importance of memorialization. As it says in the CANA Code of Cremation Practice, "Cremation should be considered as preparation for memorialization; and the dead of our society should be memorialized through a commemorative means suitable to the survivors." The agreement I reached with my parents is that I will honor their wishes to be cremated and the details of the ceremony and final memorialization are underway. Our conversation continues about their “affairs,” and has become about much more than preplanning a cremation. Barbara Kemmis is Executive Director of the Cremation Association of North America.A version of this post first appeared on Confessions of a Funeral Director. Join CANA at the Preneed Summit for innovative thinking around preneed for all businesses, February 6, 2018 in Las Vegas. All members can benefit from community outreach and consumer education programs by using the PR Toolkit to develop a strategy. Not a member? Consider joining your business to access tools, techniques, statistics, and advice to help you understand how to grow the range of services and products you can offer, ensuring your business is a good fit for every member of your community – only $470!